Harbin ( 哈尔滨 ), this name was originally a Manchu word meaning "a place for drying fishing nets"
Harbin grew from a small rural settlement on the Songhua River to become one of the largest cities in Northeast China. 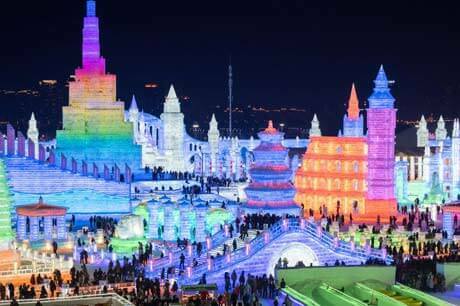 Having the most bitterly cold winters among major Chinese cities, Harbin is heralded as the Ice City for its well-known winter tourism and recreations. 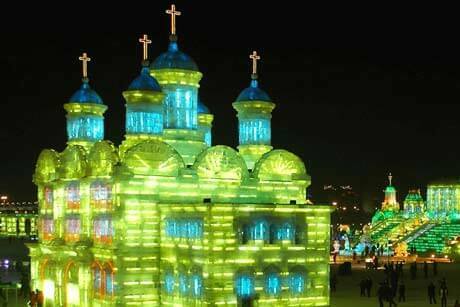 Harbin is notable for its beautiful ice sculpture festival in the winter. Sirberian Tiger Park is also known as "Heilongjiang Amur Tiger Park" and "Northeast Tiger Forest Park" ,is just to the north of Sun Island Park in Harbin. 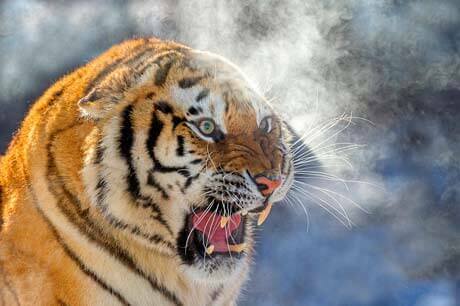 It hosts, amongst other animals, the Siberian tiger. It is the world's largest breeding base for Siberian tigers,also a garden built to save and protect the world's endangered species, the Northeast Tiger. 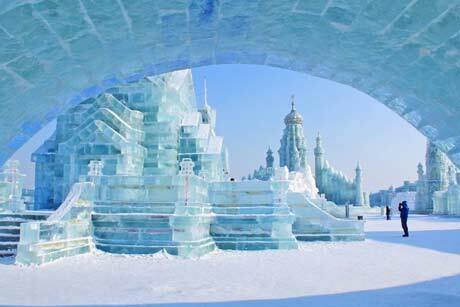 Visit the paradise of ice and snow-Harbin which is famous for its dazzling outdoor winter artwork. 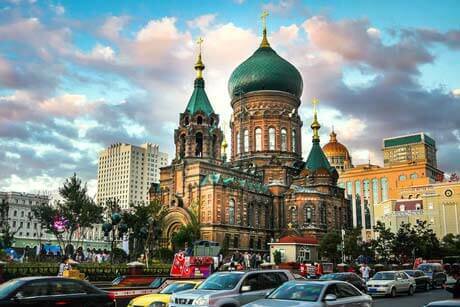 This tour includes Sun Island, Siberia Tigers Park, Santa Sophia Church, Center Street and the Provincial Museum of Heilongjiang. Airport transfer plus day trip to Sun Island, Indoor Ice-lamp Show, Siberia Tigers Park, Santa Sophia Church, simple program made for relax vacation. 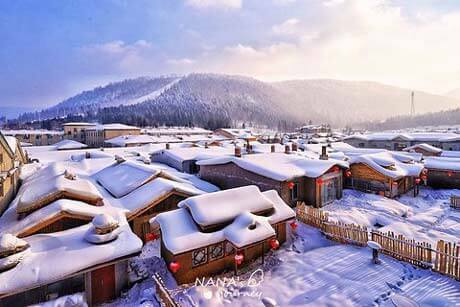 If you have hotel reserations there in Harbin as well as short duration, do not hesitate, take this one day tour by our private van to experience this marvalous white world at once! Relax yourself at this white world with snow and ice, enjoy the fly moment on the ski boot with very fresh Air! Let's GO! 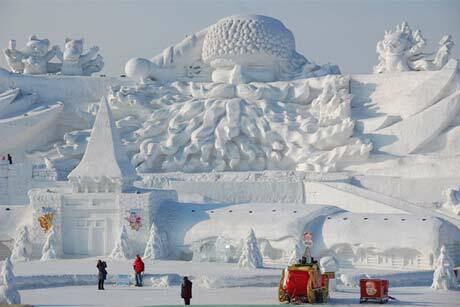 Visit the paradise of ice and snow-Harbin which is famous for its dazzling outdoor winter artwork. 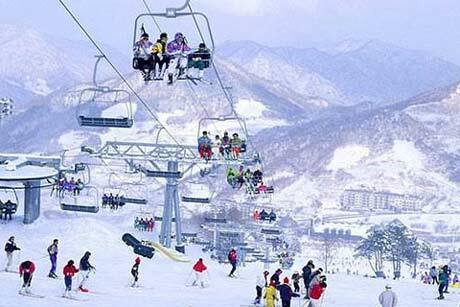 This tour also includes the Yabuli International Ski Resort.